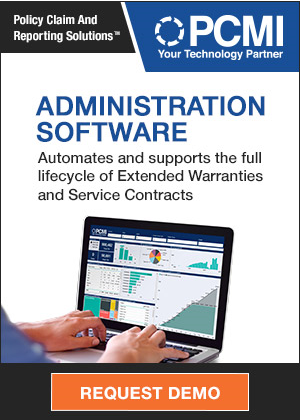 Before warranty management became a major undertaking in recent years, we suspect that even some large manufacturers didn't do a very good job of keeping their warranty expenses stable and steady. They learned on the job, without the benefit of metrics or industry benchmarks. But they did so without any outsiders able to see the numbers, a luxury that new manufacturers don't enjoy. There's a new economy emerging, comprised of new companies making new kinds of products. But they still have to comply with all the old accounting rules, including the Financial Accounting Standards Board regulations that have mandated the disclosure of warranty reserve activity since 2003. While well over 500 U.S.-based companies have ceased reporting their warranty expenses in the past decade (because they were acquired, went private, or ceased trading), about 120 manufacturers have begun reporting their warranty expenses in 2006 or later. Most are brand new companies, but some are simply late to realize that accounting rules now require them to detail their warranty expenses in their financial statements. We found six companies that are somewhat representative of this group of warranty newcomers, including a new kind of digital camera maker, a new kind of coffee maker, a new kind of data storage appliance, a new kind of solar energy equipment, and a new kind of all-in-one headphone. But the biggest warranty newcomer of all is also one of the biggest disruptors in the manufacturing space, named after the iconoclastic inventor Nikola Tesla. Tesla Motors Inc. was founded in 2003 and began reporting its warranty expenses when sales of its Roadster model began in 2008. Besides of course the fact that it sells fully electric cars, its distribution model is also different in that it bypasses dealers. 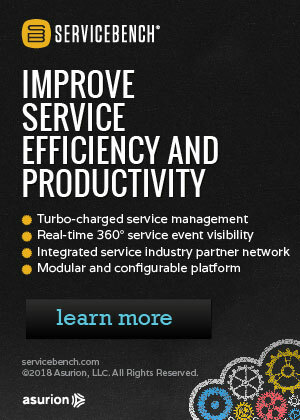 Even more revolutionary than the company's product line is how it eliminates the need for independent service stations performing warranty work. Dealers have said they're in a better position to advocate for the customer when it comes to warranty work, and legislators in some U.S. states have prevented Tesla from directly selling their cars without a dealer acting as the middleman. Tesla also operates its own service centers, and its own "Supercharger" stations, cutting out the need for not only independently-owned auto repair shops, but also fuel sales. It also sells its own vehicle service contracts and prepaid service plans. It's a vertically integrated auto manufacturer and service provider that puts a lot of people out of work. No doubt, this threat has helped to line up opposition to the company. It's not politically correct to be against electric cars, so instead they attack the distribution model by insisting that laws requiring independent dealers be enforced. They attack the company by "shorting" almost a third of its shares of stock -- a bet that will pay off only if the share price declines. Tesla warrants the vehicle for four years or 50,000 miles, the airbags and seat belts for five years or 60,000 miles, and additionally warrants the battery for eight years (the smallest batteries are warranted for 125,000 miles but any 70kWh or larger battery is covered for an unlimited amount of miles). That means the batteries in some of the first few vehicles Tesla ever shipped are now coming to the end of their warranty period. The high cost of replacing the battery continues to be an issue, as is the question of the cost and availability of out-of-warranty repair services at outlets besides Tesla's own service centers. But the issue that continuously pops up in the media is the allegedly rising or out of control warranty costs of the company. In Figure 1 we've charted every available data point concerning Tesla's warranty expenses, and in contrast to what we sometimes read, what we see is a company whose warranty expenses are gradually getting under control. This is not the picture of a company slipping into crisis. When Tesla first started accruing for warranties in 2008, it set aside 5.8% of its revenue in warranty accruals, even though it had no claims at the time. Then in 2009 as claims began to appear it reduced its accrual rate. Except for a big blip in 2010 and a smaller one in 2013, that accrual rate has been close to three percent ever since. Meanwhile, except for the first half of 2012 and the middle of 2015, its claims rate has remained mostly in a range of one to two percent. Granted, the per-unit warranty cost is still astronomical. Last year, Tesla sold 50,000 vehicles and accrued $103 million, so its accrual rate per vehicle is still a bit over $2,000. In contrast, Ford and GM have cut their warranty costs to the $300-to-$340 range per vehicle sold. Even the German luxury vehicle makers operating in a high-cost, high-tax environment have kept their per-vehicle warranty costs below $2,000 in recent years. However, as we will detail in the weeks ahead, Tesla no longer has the world's most expensive warranties on a per-unit basis. That title has now passed to another auto manufacturer, which also set a new world's record last year with its €19.3 billion warranty accrual total. Our next new warranty provider began reporting its warranty expenses in 2006. Keurig Inc. began selling its single-cup coffee makers way back in 1998, and was acquired a decade ago by Green Mountain Coffee Roasters, which eventually changed its name to Keurig Green Mountain Inc.
Keurig was taken private in March by a group of Luxembourg-based investors headed by the JAB Holding Company. The investors also now own Caribou Coffee Co., Peet's Coffee & Tea, and the makers of the Tassimo and Senseo brewing systems, and are in the process of also acquiring Krispy Kreme Doughnuts Inc. So while they will have a coffee-and-breakfast-snack conglomerate, we will no longer have Keurig warranty expense reports. In Figure 2 we've charted 9-1/2 years of Keurig warranty expense reports, calculated as a percentage of coffee brewer hardware. Granted, most of the company's revenue and possibly most of its profits came from the sale of the actual coffee, enclosed in K-Cup single-serve pods. But coffee doesn't come with product warranties. Coffee brewers do. The most remarkable aspect of the data is how expensive those one-year coffee maker warranties really were. In 2012 and again in 2015, the company's claims cost briefly surpassed eight percent. In its last quarter as an independent company, Keurig set aside 7.3% of its brewer revenue as warranty accruals. It's not right to compare one company's warranty expense rates to another's, but other kitchen appliance companies spent nowhere near as much on product warranties. Then again, they weren't also making money on the food. But as K-Cup sales grew, brewer sales actually fell. In fiscal year 2015, brewers comprised only 14% of $4.52 billion in total sales, down from 17% of $4.7 billion in fiscal 2014. It's a sales model that doesn't work for everybody. You sell the basic central hardware at or even below cost, give it a good warranty to keep the customer loyal, and then you make your money on the recurring sale of the consumables. It works for PC printers. It works for men's shavers. It even works for vacuum cleaners. But does it work for coffee makers? GoPro Inc. has revolutionized the digital camera industry with its miniature, waterproof, high-resolution, extreme-action photo and video equipment. Customers actually wear the cameras as they ski down a mountain, surf through a wave, parachute off a cliff, and dive into a shark tank, and then they post their footage online for all to see. The company began selling its Hero brand of extreme action cameras in 2004, went public in 2014, and at that time, in its first annual report, detailed its warranty expenses going back to 2012. In Figure 3 you can see that annual report of 2012 expenses charted as four identical pairs of data points, followed by 13 pairs of quarterly expense reports taking us up through March 2016. What the data reveals is unfortunately an action video of its own, where a rising claims rate pierces 0.5% of revenue in 2013, passes one percent in 2015, and tops out at three percent in the first quarter of 2016. Accrual rates have been erratic in their own way, rising and falling from one quarter to the next. GoPro provides a one-year product warranty in the U.S. and a two-year warranty in the European Union. The warranty covers defects only, and not accidental damage, misuse, or normal wear and tear. Just a few days ago, the company introduced GoPro Care, which is an extended warranty program that adds two years of accidental damage protection for $39 to $99, depending upon the camera model. Many retailers also sell extended warranties for GoPro units that covers accidental damage, battery replacement, and damage from perils such as dust, heat, and power surges. But none of these explain the recent spike in GoPro's claims rate. But rather than an increase in product failures, what seems to have happened here is a good old-fashioned sales slump. First quarter 2016 revenue fell 49% to $183.5 million, while claims cost rose by more than $2 million from year-ago levels to $5.5 million. And since the claims rate is calculated by dividing claims cost by product sales, the percentage rose to 3.0%. However, compared to the other three quarters of 2015, claims cost was actually down slightly in the first quarter of 2016. But revenue was higher, so the percentages were still lower. So the blame for this particular spike can be pinned squarely on the sales slump rather than any meaningful increase in defects. Again, we don't want to directly compare the expense rates of different companies, but as we will detail in the weeks ahead, most of the Japanese digital camera and consumer electronic market leaders have kept their warranty expense rates well below 0.5% for multiple consecutive years. That's a skill that all U.S.-based competitors will have to master if they're to remain in business. One of the new U.S.-based warranty providers that seems to have quickly mastered the skill of reducing its warranty costs is Skullcandy Inc. The Utah-based maker of headphones and digital music players was founded in 2003, went public in 2011, and reported its warranty expenses going back to 2010. Skullcandy was founded on the premise that there should be one set of headphones used for both music players and mobile phones. Like GoPro's founder Nick Woodman, Skullcandy's Rick Alden was a big fan of both his action sports and his electronic gadgets, and it was the act of having to yank out his ear buds on the ski slope to answer his phone that gave him the idea for his company. In Figure 4, its warranty expense record resembles one of the hills navigated by the bicycle, snowboard, and other action sports athletes who promote the company's products. Claims and accrual rates have now seemingly stabilized in the 0.3% to 0.4% after descending from heights of 1.1% to 1.3% three years ago. Skullcandy's product warranties actually do cover accidental damage in some cases. "Had an accident and broke your headphones? Don't stress, our Aggressive Enjoyment program covers 50% of the value of your product," the warranty's terms and conditions state. Headphones and ear buds are covered by a lifetime limited warranty against malfunctions and manufacturing defects. All other products are covered by a one-year product warranty. Most other headphone manufacturers are either privately-held companies such as Bose Corp. or are part of much larger companies such as Sony or Apple. So there are no directly comparable warranty providers, at least on the entertainment side of the industry. On the telecom side, for call center agents, there are headset manufacturers that spend roughly 1.0% to 1.2% of their revenue on warranty claims, so in that sense Skullcandy is currently well below average. In 2008, Enphase Energy began shipping a product that has proven to be a key component in many residential solar energy projects: the micro-inverter. Basically, the product converts the direct current produced by solar cells into the alternating current used by the electrical grid. But it does so on a much smaller scale than before, connecting to a single panel rather than connecting multiple panels to a single, much larger inverter. The company went public in 2012 and reported its 2010 and 2011 warranty expenses at that time. In Figure 5, as with Skullcandy and perhaps also with Tesla, what we see is a company that starts out with highly volatile expense rates that gradually decrease and stabilize at manageable levels. Back in late 2011 and early 2012, Enphase was setting aside almost five percent of its revenue as warranty accruals. By early 2016, that accrual rate was down to 1.1%. The company's claims rates, however, are still as volatile as ever. Enphase spent 1.3% of its first quarter 2015 revenue on warranty claims, followed by a rise to 2.5% in the third quarter and then a further rise to 2.7% in early 2016. So it has not yet quite mastered the art of producing stable and steady expense ratios like so many others in the power equipment industry (see Figure 3 in the June 2 newsletter for more). Unlike many in the solar energy field, however, Enphase does not seem to be in the business of over-accruing for the long term. Its micro inverter warranties last for 20 years in Europe, 25 years in the U.S. and Canada, and 10 years in the rest of the world. Typically, what we see with other solar companies with long warranties is an accrual rate that's much higher than the current claims rate, because the company is setting money aside now for claims that might not arise until the 2030s, if ever. In contrast, for most of the past three years, Enphase has kept its accrual rate much lower than its claims rate. Will this become a problem? Unfortunately, we might not find out until the 2030s, if ever. Finally, we have an example of a company that has been selling its products for multiple years, but had initially covered its warranty expenses out of pocket rather than through a warranty reserve fund. This is fine if warranty expenses are minor and infrequent. But it's an approach that can demolish net income and panic investors if warranty expenses ever become substantial. NetApp Inc. is a data storage company that, as its name implies, provides appliance-like data storage systems over a data network. NetApp went public in 1995 and began filing annual reports in 1996. However, despite the issuance of product warranties, the reports never included any warranty expense data. In fact, NetApp did not begin reporting its warranty expenses until 2007. Before that, the company said it did not maintain a warranty reserve fund "due to our extensive product quality program," and because whenever there were failures, the cost of repair or replacement was simply expensed. There was no warranty reserve fund, and there were no warranty accruals. But then it switched to the accrual method. Back in the fiscal year ended April 25, 2008, NetApp reported paying claims of $26.4 million and making accruals of $25.9 million, against hardware sales of $2.2 billion and net income of $310 million. Its claims and accrual rates were around 1.2% at the time, so warranty was not much of a factor. Five years later, however, warranty accruals consumed nearly $95 million at a time when hardware sales approached $4.1 billion, raising the accrual rate to 2.5% or more. Its claims rate topped out at 2.3%, which isn't an alarming level, but nor is it merely a rounding error. As can be seen in Figure 6, the company's warranty expense rates have not yet fallen into a stable and steady pattern. Over just the four quarters of last year, NetApp's accrual rates ranged from 0.3% to 1.6%, landing most recently at 0.7% in the quarter ended January 29, 2016. These expense rates are not extremely volatile and they're certainly not high enough to impact net income. In the latest quarter, for instance, claims topped $12 million but net income was $153 million. Hardware sales were $750 million. So it's conceivable that NetApp could have done without establishing a warranty reserve fund, instead paying claims out of cash on hand. However, its warranty reserve fund, which has at times contained as much as $120 million, provides a cushion against the prospect that maybe one day claims will rise to unusually high levels. If claims are expensed immediately, net income would suffer right away. Using the accrual method, first the reserves are depleted and then the accruals are increased, spreading the impact of the spike in claims. How certified pre-owned programs affect consumer loyalty. What to ask before you buy a used cell phone. Lohia Auto Industries launches battery-powered rickshaw with 2-year warranty. Why the Tesla boom could actually be very good news for the electric grid. Cubic Corp. lengthens warranty on network communications products to 2 years. June 22 webinar on how mobile registrations helped NordicTrack sell service plans. Accenture launches analytics application to help detect warranty fraud. Sears to launch DieHard-brand tires covered by 70,000-mile treadwear warranty. Warranty Administration Services donates funds to motor industry charity BEN. Dishwasher repairs prove theme of Galbraith's book about planned obsolescence. Titan Spine enhances its spinal device warranty policies. Is cell phone insurance worth it? The lowdown on appliance warranty options. Tesla denies that it forced a Model S owner to keep quiet about repairs. How Tarion Warranty protects consumers in Ontario. Vehicle makers shift more warranty costs onto their suppliers. U.S. reviewing suspension complaints in Tesla Model S cars. TruckPro expands Canadian warranty to include U.S. repair locations. Car dealer service quality earns customer loyalty, J.D. Power study finds. Fixd Repair to launch new home warranty solution in Texas. American Home Shield offers tips on proper air conditioning maintenance. Safeware adds corporate service and training center to headquarters. Tesla's Model S battery survey shows little capacity loss over high mileage. GoPro offers $100 accidental damage policies for its digital cameras. Kohler suggests buying a standby generator with at least a 5-year warranty. Better Business Bureau says home service contract complaints on the rise. What you need to know about a home warranty. Allied Solutions enhances mechanical breakdown protection services. Bankers Warranty Group partners with Rockler Woodworking and Hardware. Encompass to manage parts for Toshiba America Information Systems. Most limited lifetime warranties for roofing shingles have exclusions and limits. Columnist says Tarion Warranty is too close to builders. Court says fraud case against former AIG head Hank Greenberg should proceed. Creative lawyers give new meaning to the term warranty claim. New Leaf Service Contracts signs appliance chain Pirch. Kia launches unlimited mileage warranty in South Africa. Daktronics blames increased warranty costs for operating loss. NADA says 43% of new vehicle buyers purchased a service contract in 2015. CFPB's arbitration ban could affect insurance products. Ontario roads crack during the first winter, even before the warranty starts. India says no to Apple's refurbished iPhones. Whirlpool issues safety warning for Indesit, Creda and Hotpoint tumble dryers. Hedge funds boost their stakes in AmTrust Financial Services. Electric car batteries remain a challenge, for multiple reasons. Prius batteries have proven track record and long-term warranties. John Deere extends warranty on commercial worksite products. Texas attorney general alerts homeowners to repair scams. Standards Organisation of Nigeria warns fake smartphone sellers to stop. Safeware deploys The Work Market workforce management system. National Auto Care gets award from Auto Dealer Today magazine. PCMI attends ENG Automotive Warranty Management Conference in Berlin. Sewer line warranties offered on North Las Vegas letterhead cause confusion. Warranty issue with drainage pipes leaves homeowners with hefty bill. GM offers debit cards or longer warranties in mileage case. Sears to shut its oldest store by August. Blog lists 32 brands with lifetime warranties. OneGuard Home Warranties enters the Las Vegas market. A.M. Best upgrades Fortegra's Financial Strength Rating to A- (Excellent). Federal Trade Commission seeks public comments on 2015 E-Warranty Act. Apple's Certified Pre-owned Programme for iPhones in India explained. The Warranty Group moves its European headquarters. Fiat Chrysler dealers face warranty service technician bottleneck. NEW's Fred Schaufeld talks about his formative years as an entrepreneur. Banned robocaller Fred Khalilian resurfaces at in-flight poker venture. American Home Shield announces winners of its contractor awards. Tarion Warranty files lawsuit against Urbancorp. Using big data to optimise customer service. Ernst & Young to detail warranty analytics software at SAP conference. Pennsylvania Attorney General files lawsuit against Elite Motors USA. Kia's 7-year warranty plays major part in the success of the Sportage SUV. A.M. Best affirms A (Excellent) rating of Old United Casualty Company. Fortegra Financial Corp. reports $9 million in pre-tax earnings. Gardner Denver drops registration provision for 6-year pump warranty. National Auto Care wins Top Workplace Award from Columbus CEO magazine. Safeware promotes Bryan Schutjer to Chief Executive Officer. Ben Lockett joins Registria as Vice President of Sales. Shell Helix adds warranty against lubricant-caused failure in Malaysia. Takata estimates loss of 13 billion yen, or $120 million, from airbag recall. Warranty Accruals per Vehicle Sold: Once again, Tesla comes out with the most expensive warranty while Hyundai is the least costly. But the warranty cost rankings of the passenger car and light truck manufacturers in between have shifted somewhat, with the Asian carmakers seeing their accrual rates per vehicle rise and the North American manufacturers seeing their warranty costs drop. Green Warranties, Part Four: Solar cell manufacturers betray their youth and inexperience when it comes to warranty accounting. Very long warranties, new technology and rapidly increasing sales don't make their jobs any easier. U.S. Truck & Auto OEM Warranty Report: While falling sales drive Navistar's claims rate upwards, Paccar finds ways to cut warranty costs. And both GM and Ford continue to report some of the lowest warranty cost per vehicle metrics in the world, while Tesla gets its warranty costs under control.